Watching Sholay 3D left me equal parts delighted and depressed. It is nothing but our good fortune that we have witnessed the release of Sholay in our lifetime. The makers deserve to be lauded only for gifting the fans a chance to watch their favourite drama on big screen. As for its 3D conversion the attempt is highly gimmicky. Does Amitabh Bachchan and Dharmendra’s classic need 3D effect? A phenomenon that never ends. An experience of a lifetime. India's great historical blockbuster the evergreen cult classic 'Sholay' returns on the marquee in 3D. 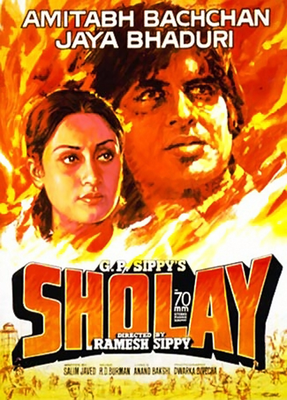 The trendsetting master of B town entertainers 'Sholay' in its re- mastered 3D digitally sound avatar heightens the nostalgia dipped in never ending more than three decades year old rhapsody on Indian screens known as 'Sholay'. If as William Shakespeare told us, a rose by any other name smells just as sweet, then `Sholay` in any format 3D, 4D or whatever, would remain just the same.